Sorry I am a little late getting this up this week! My internet was down this morning. Such a frustrating problem for a blogger! 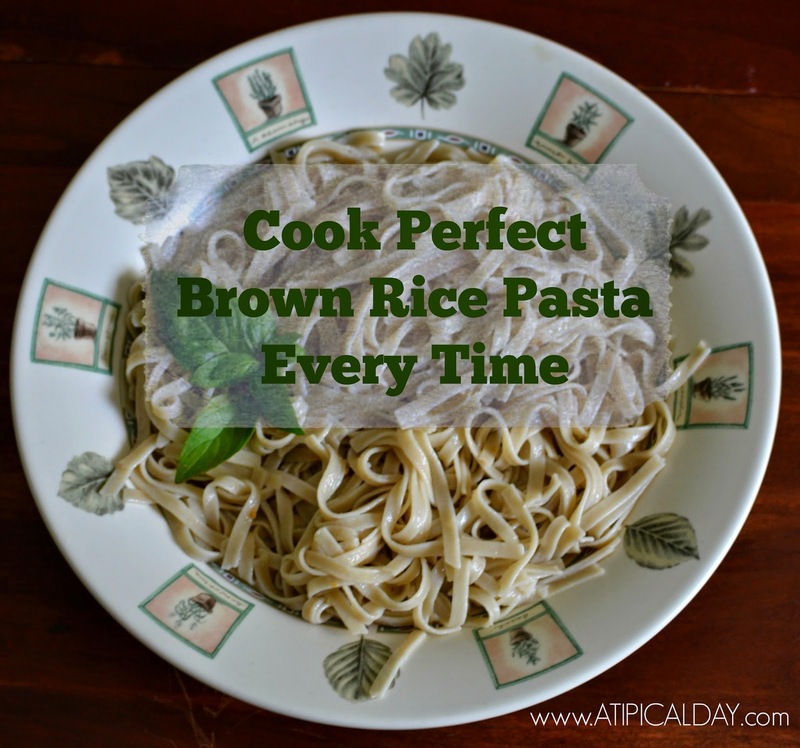 Today I am sharing with you how to make perfect brown rice pasta. Since starting my new dietary lifestyle, brown rice pasta has become a staple for my family. While it is a fine substitute, it can be a little bland and mushy if not cooked correctly. It took me awhile, but I think I have finally perfected the art off cooking it! You will want to start with a good quality brown rice pasta. There are many varieties out there. Play with them and see which you like best. You will want to follow the package directions for cooking, and apply the below tips to get the best tasting brown rice pasta ever! Add extra water to your pot. This will help the pasta to cook more evenly. Add a splash of olive oil to your water. Be sure to generously salt your boiling water. I use a good palm full of sea salt. Stir frequently to reduce noodles sticking together. Do not over cook! Use the time stated on the package as your guide. Test noodle to make sure it is perfectly cooked. It should not be tough (not cooked completely) or mushy (overcooked). Drain completely and rinse with cold water. Once drained drizzle Extra Virgin Olive Oil (about 1 tablespoon) all over noodles. Sprinkle with some additional sea salt. I personally love to use a organic garlic and sea salt mix I get from B.J. 's Wholesale. Doing these steps will truly enhance the flavor of your bland brown rice pasta and no one will know that you are serving something healthy! Serve this pasta with your favorite sauce or plain with a sprinkle of your favorite cheese. Now onto our party! Be sure to share the party with your friends for an even better party! Welcome to the The Ultimate Linky's Twitter Party! 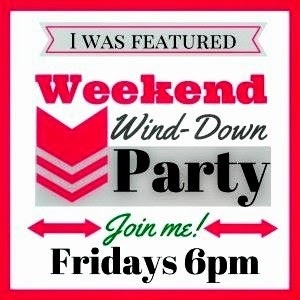 Thanks for coming and linking up here to the Twitter Linky Party! You can come back here every week on Tuesday for this whole summer to get more followers on twitter! Our goal is to grow this party so that there will be new people linking up every week so that you can continue to get new followers! There are two linkies in this party! You can do just one or both linkies if you wish. On the first linky, you will link up your Twitter URL for your Twitter account so that you can be followed. On the second linky, link up the URL of a tweet you would like to be retweeted. 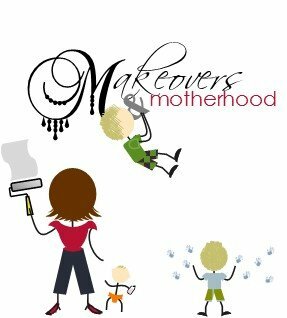 Please follow me and Tammy from The Ultimate Linky on Twitter, add the button to your sidebar or party page, and then link up and follow the directions for who to follow/retweet! If you are the last three to link up, your links will be manually added to the beginning of next week's link-up so that you get your follows. You can always follow more if you decide to! We also would love any shares that you could give to help spread the word about this party! You can also link up one tweet that you would like to have re-tweeted. This is the same concept as above except you only have to tweet the two links above yours. I will make sure I tweet the last link(s). Hmm. I think I need to introduce my mom to this. Thanks!